Have you ever wanted to change the tired old nav buttons into food items or animals or pretty much any other shape? Well, now you can. 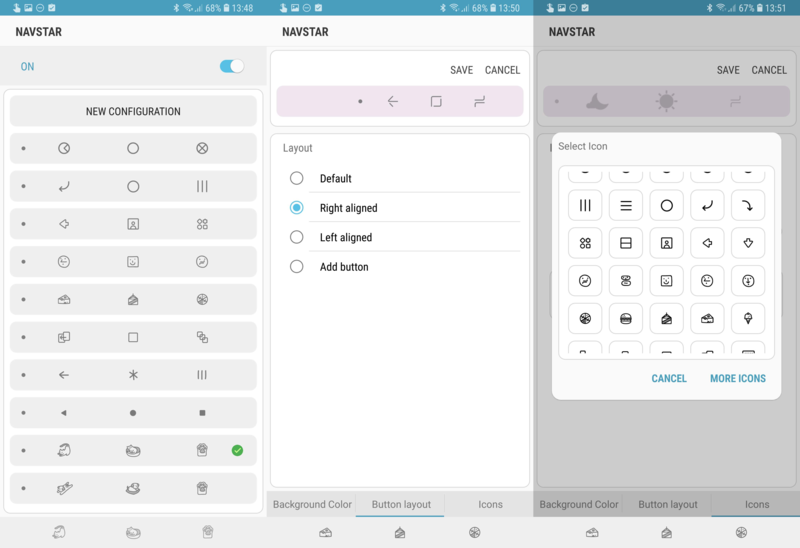 The NavStar app can be used to edit the layout and icons on your nav bar, as well as change the background color. The options don't stop there, as you can even set the transparency of the buttons and make the colors adaptive. While there are overlay or root-enabled apps out there that do similar things, nothing beats a native experience like this. A bunch of presets are already available to choose from, such as the rather adorable cats and dogs below, but there are plenty of other options for you to mix and match. The updates to the main Good Lock app and the others in the family include nothing more than bug fixes and performance improvements by the look of it — you can download some of them from APK Mirror here: Good Lock 2018, QuickStar, LockStar. If you want to try Nav Star, you can get that from APK Mirror too. NB — NavStar is only compatible with Android 8.1 and up, so if you have a Galaxy S9 still on 8.0, for example, you unfortunately won't be able to use NavStar just yet.